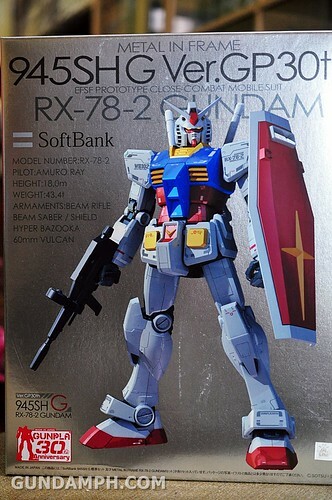 Some stuff that we managed to find. 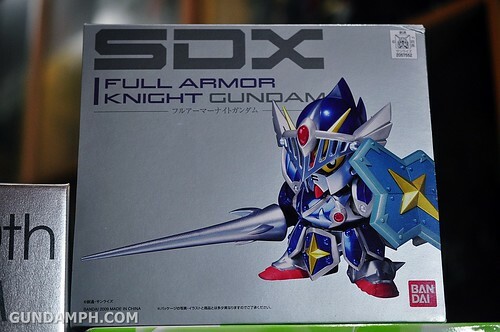 Below are Softbank 945SHG ver GP30th RX-78-2 Gundam, SDX Full Armor Knight Gundam and last but not the least – HGUC Pearl Clear Version Kshatriya. 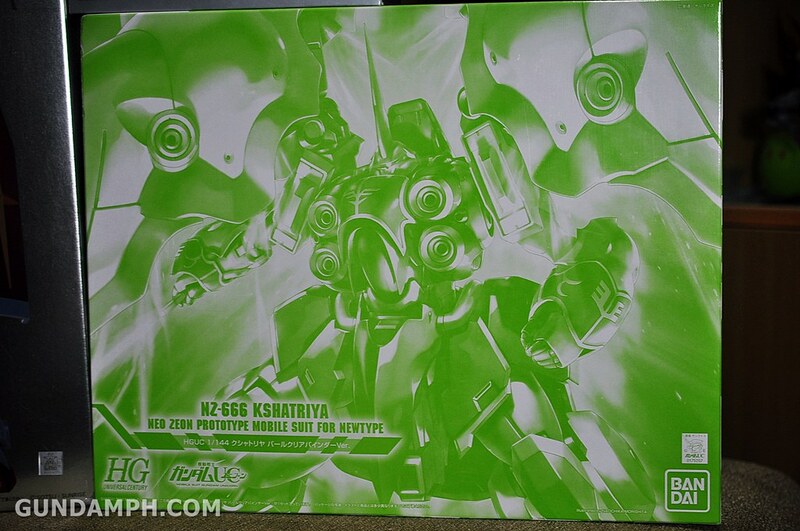 Among the 3 of them, we are very much excited about the Pearl Clear Kshatriya. 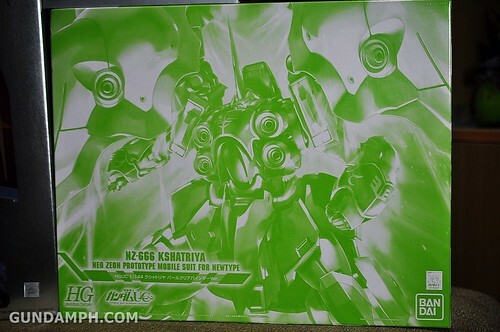 We are trying to complete the clear kits of the Unicorn Series (re: Theatrical version). 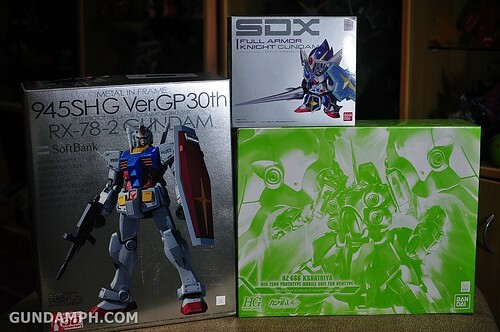 Anyway, as usual, we are looking forward to review these goodies here.